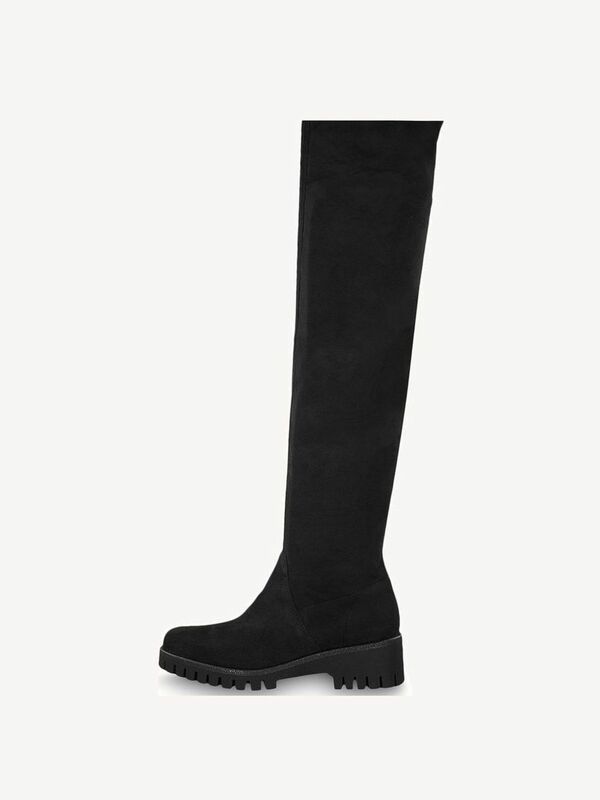 Vekic 1-1-25571-31: Buy Tamaris Overknee boots online! A statement boot for fashion-conscious women: This over the knee boot puts every leg in the best possible light. It is partly made of robust leather, which ensures a long durability. This combination contributes to the ideal wearing comfort and the pleasant lightness of the model. With its rounded toecap and the distinctive and lightweight platform, the perfectly shaped boot becomes a trendsetter, which flatters every leg. Especially outfit combinations with tights and dress are enhanced by these boots. This shoe is ideal for festive events.